On Sept. 2, 2015, social media managers, journalists and educational experts met in the Grimme Institute to exchange experiences on hate speech. They discussed the problems posed by discriminating and degrading hate comments on the Internet and possible (preventive) measures against this phenomenon. “When we started the project last November, we would never have thought that our topic was so up-to-date”, said Aycha Riffi, one of the heads of project of the German BRICkS section. The current debates about the refugees’ admission to Germany caused some extremely abusive comments following newspaper and social media articles. To start off the debate the participants watched a video by the Lithuanian Centre for Human Rights, which reveals that hate speech not only hurts those people, it directly attacks. 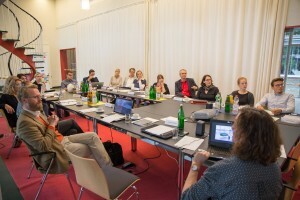 Many of the meeting’s participants have to deal with hate speech in their daily work. Aude Gensbittel who works for Deutsche Welle African Department said that the editors choose their articles on certain topics very carefully in order not to cause hate speech, for instance on homosexuality. After this general exchange about their experiences with hate speech the participants discussed the guidelines for combating hate speech developed in the BRICkS workshop in Brussels earlier this year. It surfaced that the differences between proprietary platforms like newspaper sites and social media platforms call for different approaches. Creating a certain commenting culture on Facebook is eventually more difficult than within one’s own community. 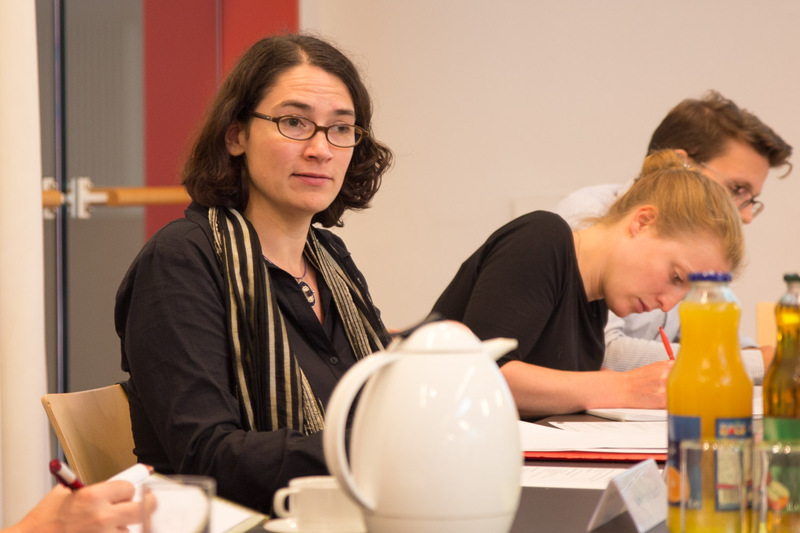 Marie Huchthausen / Business Academy Ruhr explained the importance of developing a sensitivity for what sort of platforms discussion take place on and for the suitable guidelines for publication. She recommends developing a social media strategy that incorporates an agenda for dealing with hate speech, which considers the temporal capacities one has for managing them. This agenda should fit with the general tone of the organisation’s online appearance. A research institution, for example, can counter hate speech with scientific arguments, whereas a satirical website can also throw in a snappy remark. Furthermore, different platforms offer different possibilities for monitoring hate speech. On Facebook, for example, it is possible to hide comments or change their order, if the last resort of deleting them is not (yet) an option. The differences in young people’s online behavior in comparison to adults were also discussed. A general shift from written to audiovisual communication was perceived by many of the media experts. The importance of youtube for youth culture as well as the emergence of live-streaming apps like Periscope also reflects this trend. Furthermore, the participants agreed that young people are tougher than adults when dealing with online hatred. However, cases of primary school children overwhelmed by online threats also surfaced in the debate. This highlights the importance of projects like BRICkS that work towards a better atmosphere in online discussions. Therefore, the experts agreed that work like this prevents the emergence of “tomorrow’s trolls”. 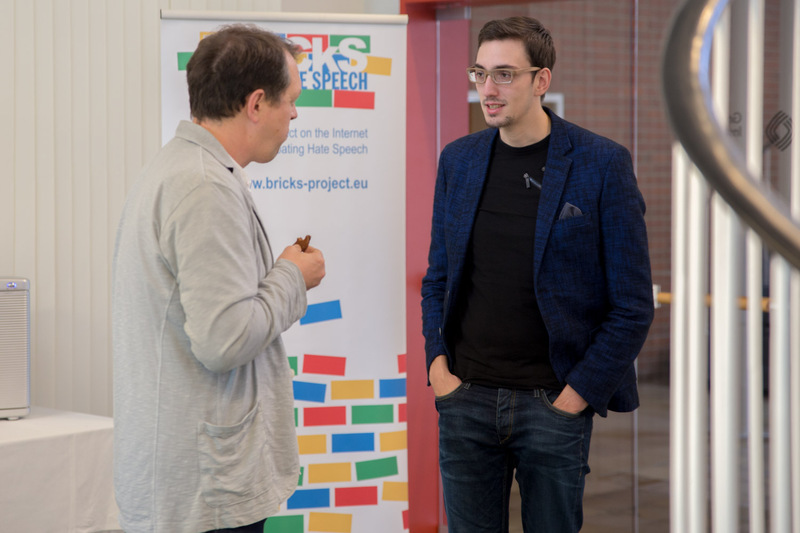 The German partners of the BRICkS project plan to use the methodology of Digital Storytelling to raise awareness for the topic of hate speech. Head of project Guido Kowalski introduced the participants to the idea of creating a kind of interactive story with multiple alternative endings. The story itself follows the rules and dynamics of a computer game and shows the user the consequences of each of his or her actions. The stories shall be produced by the projects target group (young people in schools and youth centres) who are instructed by the BRICkS trainers. This kind of stories can easily be published on the internet and the templates and tools can be downloaded from the project’s website for the use of others too. During the second round table teachers and youth workers were addressed and asked for their opinion on the idea. The response was very positive and so the participants began to plan the next practical steps in implementing the project.